Abstract A little bit of an impressionistic shot I did last fall. A little bit of an impressionistic shot I did last fall. 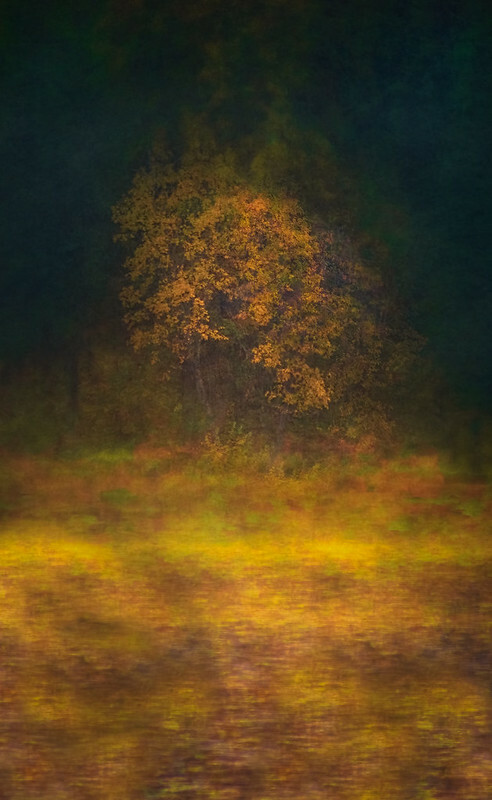 Here's a bit of an impressionistic shot I did last fall, composited by taking 20 or so images of the scene while I intentionally panned around the tree. I then brought in one of the photo's of the tree and selectively erased portions of the stack, so the tree was more defined. It was fun to create for sure. This looks like an oil painting. Fantastic. You should get it printed on a canvas frame . Thanks! The day was a bit dreary that day, and really wanted to get something that I would like, so thought I'd play around with it. and I brought one of the first set back into it.